cost effective products of the highest quality, delivering optimum performance. 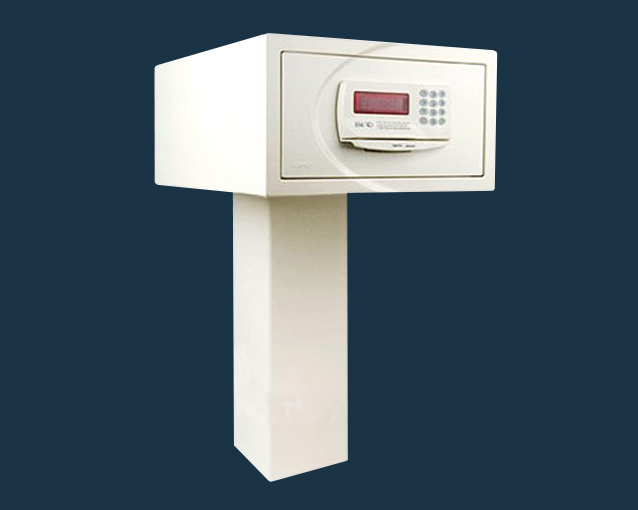 J.SH electronic in-room safes are the result of 30 years of research into hotel requirements. 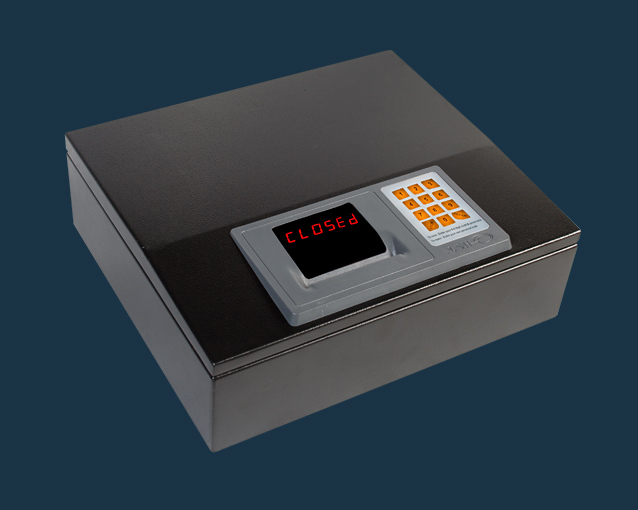 The company has produced well over 1,000,000 safes to date, used by thousands of hotels and cruise ships in over 70 countries around the world. Through our continuous technical support and long-term partnering, we have become well recognized for our reliability, courteous service, unfaltering backup and have a truly achieved and honest reputation in the international hospitality industry. 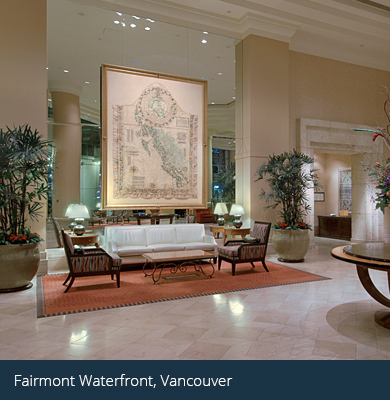 Our clients choose us for our high standards and our deep commitment to them. We strive to exceed our own high standards year after year, and will always provide customized solutions to meet our client’s individual needs and demands. The D series is simple for guests to understand and use, and there are no complex instructions. 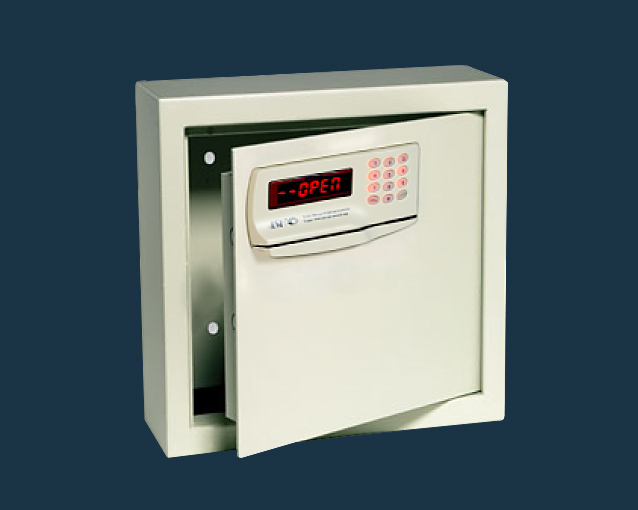 The safe is operated by a convenient 4-6 digit pin code, selected by the guest. 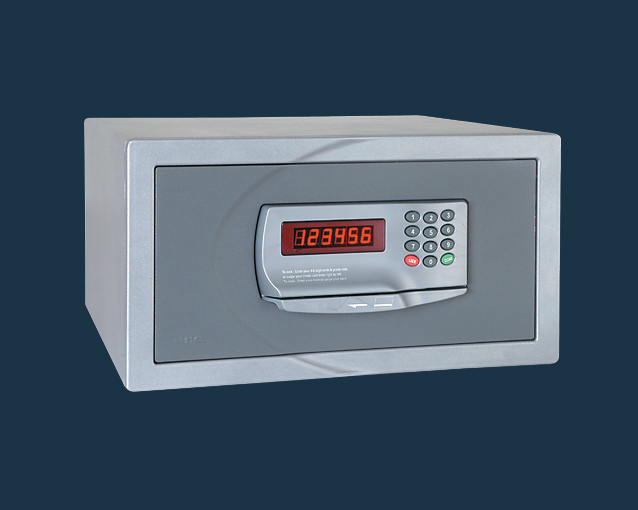 The DC series is the most user-friendly safe in our range. 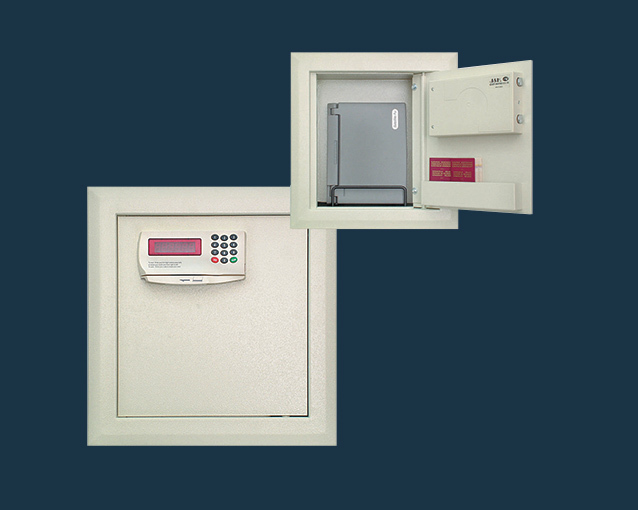 This series offers dual locking systems, where the user can chose to operate the safe either with his own credit card (up to two different cards) or with a 4-6 digit pin code of this choice. No other safe on the market can even closely match our Supreme series, the next generation of LOCSafe™ safes with impeccable construction, refined design, a flush-fitting door, automatic inside lighting and illuminated key buttons. It has powerful software and is very user-friendly. When space is a concern. 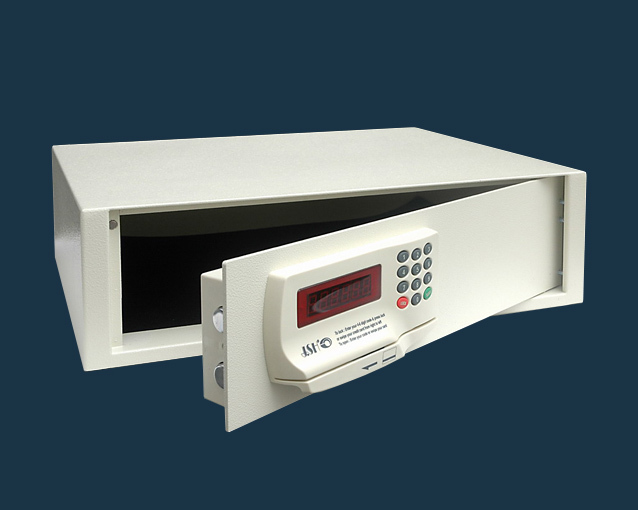 The LOCSafe™ LS801 is designed for hotels and cruise ships with small storing space, providing guests with peace of mind. It is large enough to accommodate an iPad or camera. For a 15 inches laptops. 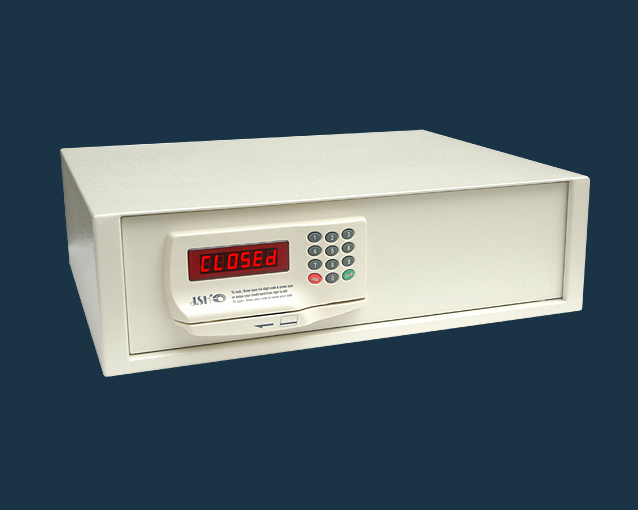 LOCSafe™ LS802 our most popular model and biggest seller is designed with the hotelier needs in mind. This safe will accommodate 15 inch laptops and other small travelers valuables. 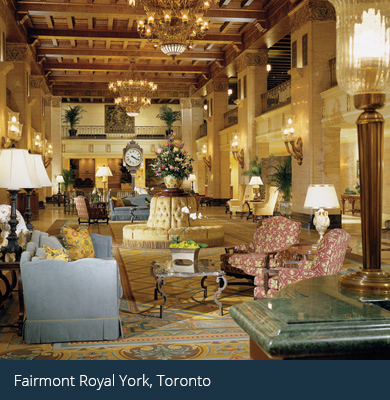 The LOCSafe™ LS803 is one of Fairmont Hotel’s favorite safes. It holds a 17 inches laptop, purse, camera and much more. The LOCSafe™ LS804 has slightly different dimensions to the LS803, but is still designed to accommodate a 17 inch laptops. ☞ Please click here for detailed specs on the LS801 safe, including features, options, construction and dimensions. ☞ Please click here for detailed specs on the D103 safe, including features, options, construction and dimensions. ☞ Please click here for detailed specs on the W406/15 safe, including features, options, construction and dimensions. ☞ Please click here for detailed specs on the LS802 safe, including features, options, construction and dimensions. ☞ Please click here for detailed specs on the T-230 safe, including features, options, construction and dimensions. ☞ Please click here for detailed specs on the TX-500 safe, including features, options, construction and dimensions. ☞ Please click here for detailed specs on the LS803 safe, including features, options, construction and dimensions. ☞ Please click here for detailed specs on the T-270 safe, including features, options, construction and dimensions. 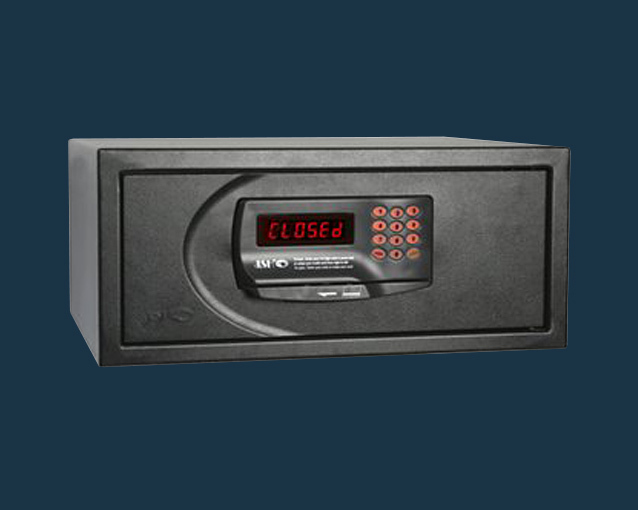 ☞ Please click here for detailed specs on the TX-501 safe, including features, options, construction and dimensions. ☞ Please click here for detailed specs on the LS804 safe, including features, options, construction and dimensions. 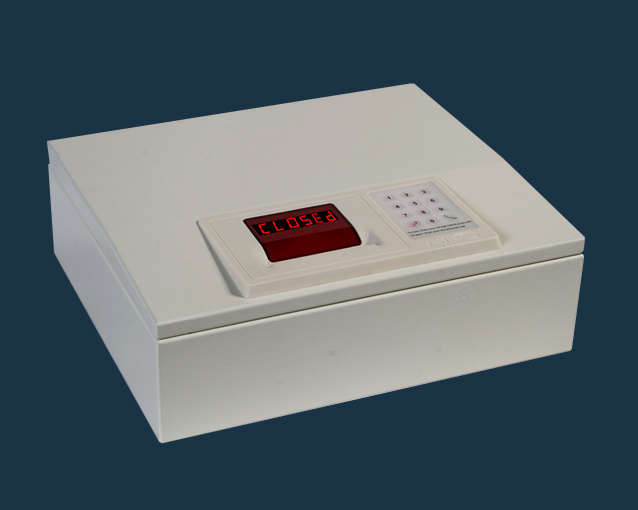 ☞ Please click here for detailed specs on the LS402WM safe, including features, options, construction and dimensions. ☞ Please click here for detailed specs on our pedestals, including features, options, construction and dimensions. 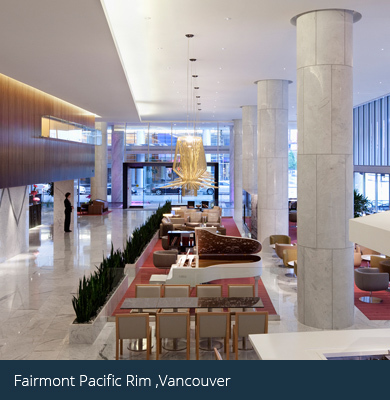 Our SLU Hotel Management Software is the result of more than 30 years of experience in Hotel Security Management solutions and a wealth of accumulated knowledge of what is important, especially for large property hotels. The software maintains a complete record of all operation data of the SLU unit. 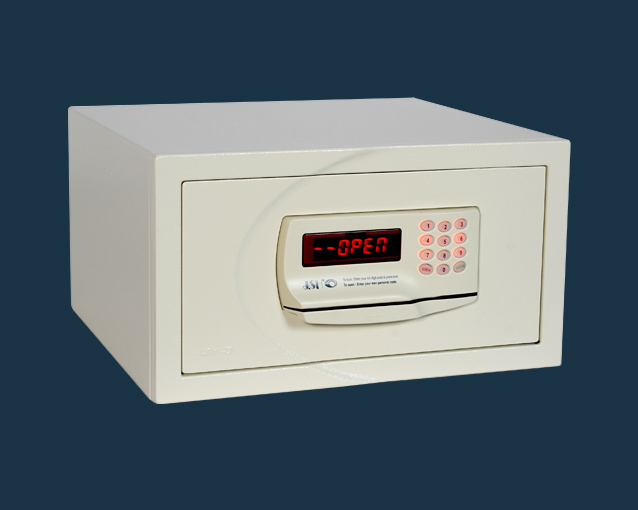 Detailed reports are available with this system for an unlimited number of room safes. The reports includes all emergency opening for all safes, identities of staff members having used the SLU unit, all operations performed with time and date. Reports can be printed. The SLU Hotel Management Software is supported by the Windows platforms XP and Vista 7. 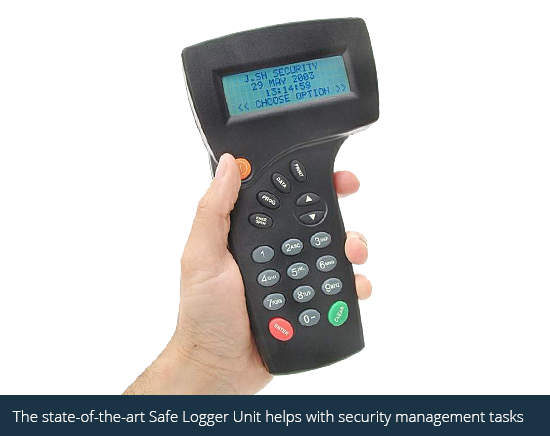 Compatible with all our safes, the state-of-the-art Safe Logger Unit (SLU) has been designed to open a safe in case of emergency and to perform security management tasks. Very easy to use, the SLU unit has an interactive LCD light display with full operational instructions. 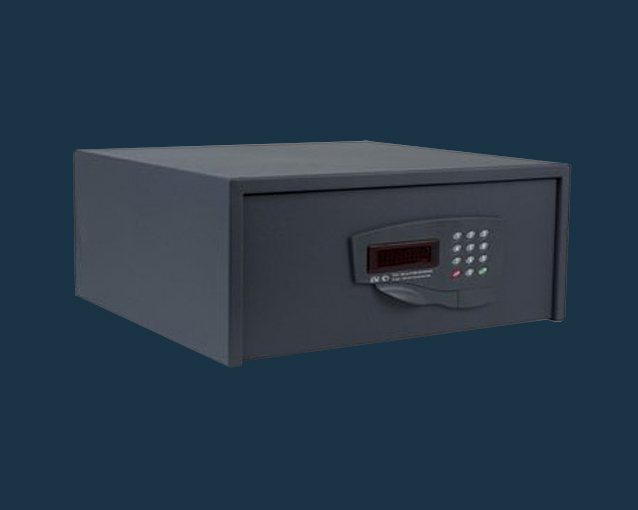 If there is any suspicion of theft from a safe, the unit can detect and download the safes last 400 events, including the Hotel name, room number, employee’s name and ID, date & time of each event and the date of the print out. This dramatically reduces fraudulent liability claims, saving both time and money. All downloaded data can be viewed on the SLU screen at all times, and the SLU can be connected directly a computer. The SLU unit includes a “self” audit memory of up to the last 500 events on the SLU itself, including the user ID, time & date, room number and the type of events the user operated with the unit (open safe, download data, changing programming etc.). This report is not affected power failures or attempts at deletion. The SLU unit is available for all safe models.